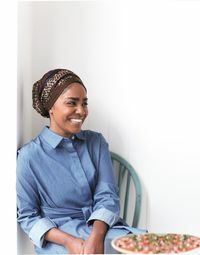 Mums can fall into two categories on Mother's Day... the ones who need to be treated and have a bit of time off... and the mum's who want to spend all their time with their kids that day as after all, it's Mother's Day and that's what it's all about right?! 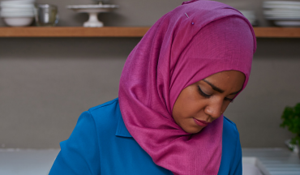 Either way, cooking and eating always forms a big part of the day for me. I'm usually treated to some form of lie in and breakfast in bed before lazily rolling out. We'll then decide what to do together. It could be board games, it could be a trip to the cinema. If we're going to spend the day at home then a big old lunch always go down well on a Sunday afternoon before a lighter dinner in the evening. We may even just have a snack later as we've filled our bellies. With such busy lives now, what's always nice is the spending time together. I'll be away straight after Mother's Day this year for work so I want to make sure I have as much time with my babies as possible before I go. And yes, they'll always be my babies! 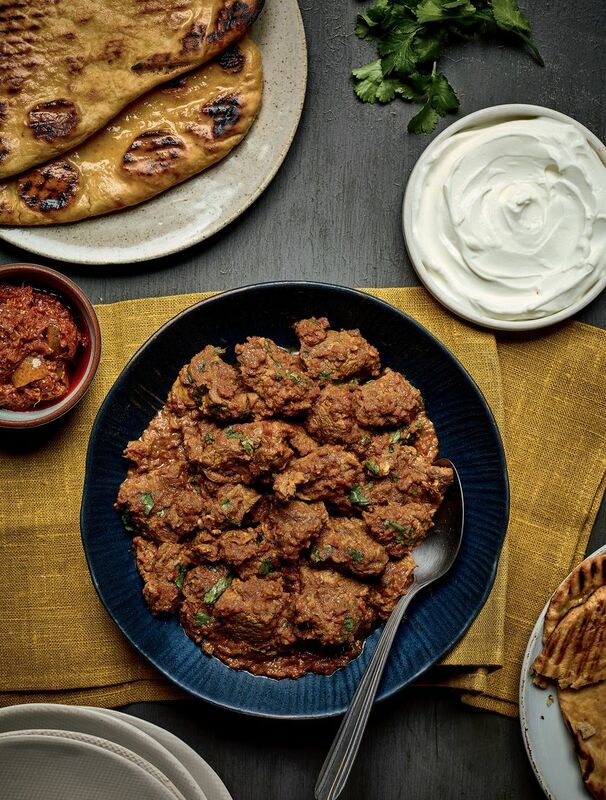 The main course is my speedy and easy Lamb Bhuna with Garlic Naan. 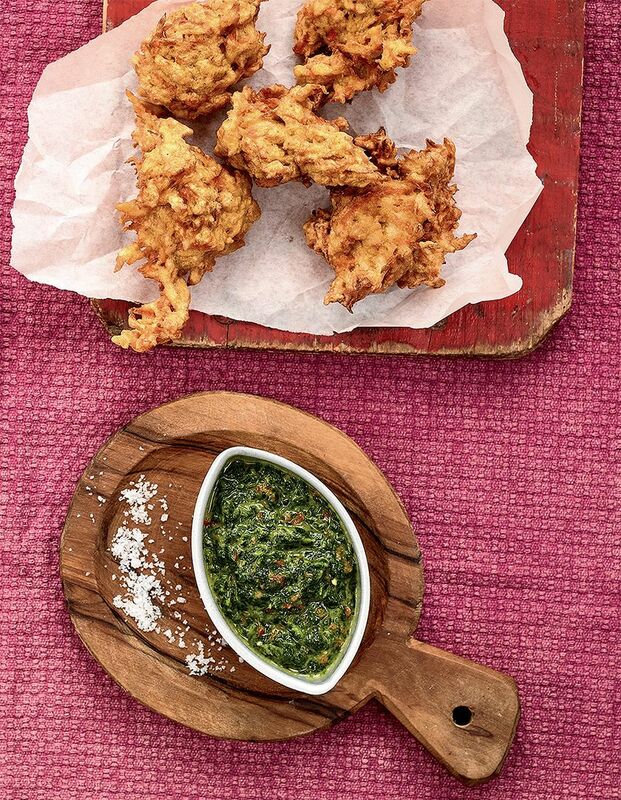 The sauce for this curry gets blitzed in a food processor before being cooked to make the process much quicker. 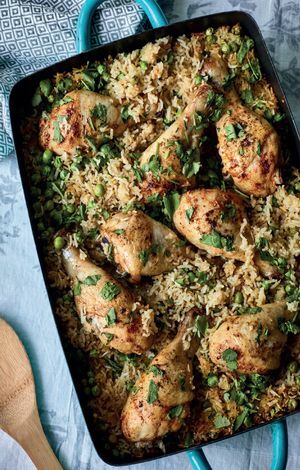 It’s sweet, aromatic and very quick, letting you enjoy the curry and some free time to be with the kids or with your mum if you're cooking for her. Now for dessert! 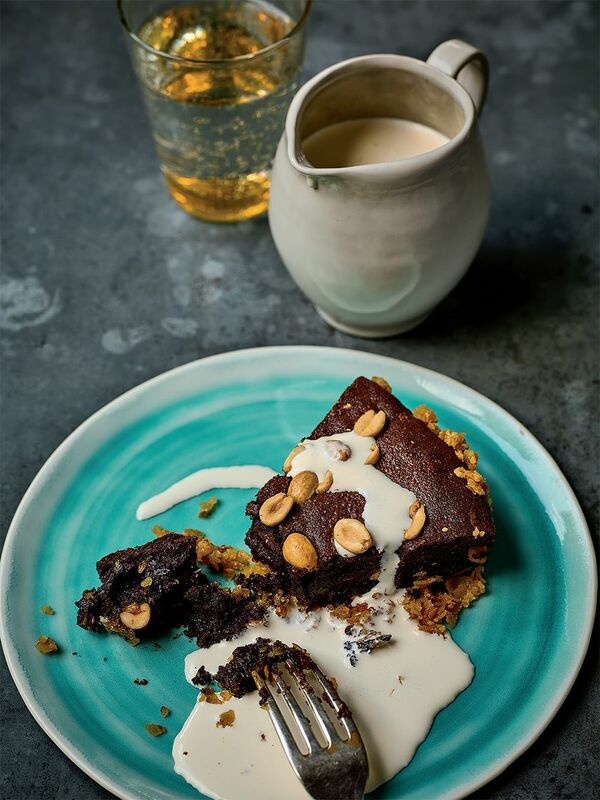 This Crispy Chocolate and Salted Peanut Tart contains a surprising hidden ingredient: crisps. Crisps have become such a snacking essential (one that I certainly couldn't do without) that most people don't think to use them in cooking. 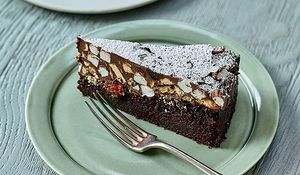 But with their crunchy, salty deliciousness, they are great added to recipes for extra texture and taste, and here I use crushed salted crisps to create a tart base with a difference. The chocolate filling is rich, but gets balanced out by the salty base and the scattering of salted peanuts. I guarantee mum will love every bite! 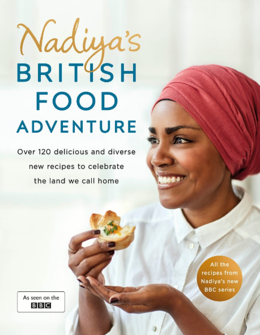 Loved Nadiya's menu? 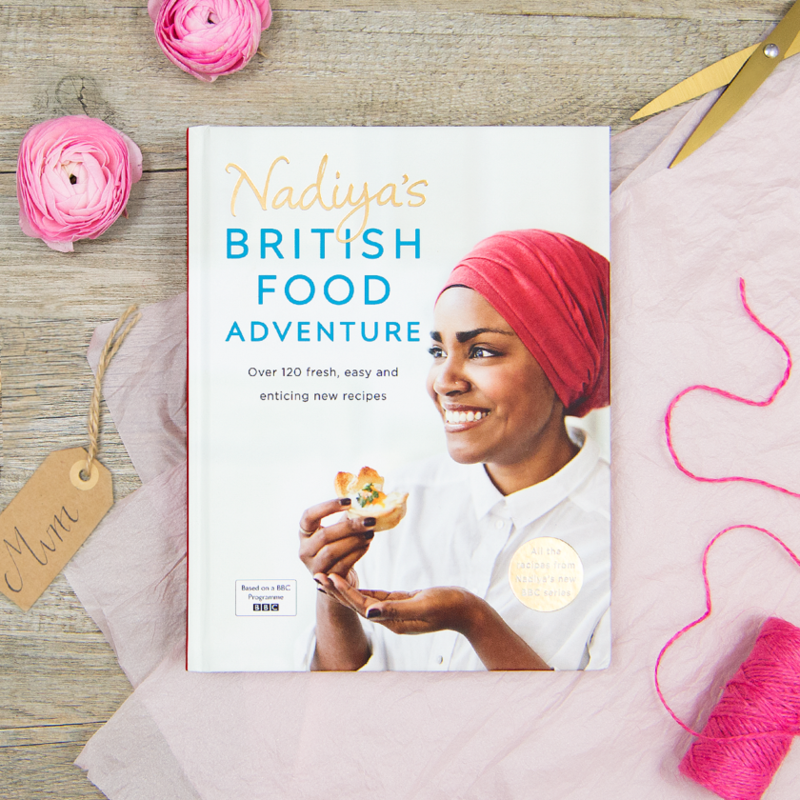 For more fantastic recipes inspired by Nadiya's foodie travels across the UK, get your copy of Nadiya's British Food Adventure here.